Today is Bastille Day. 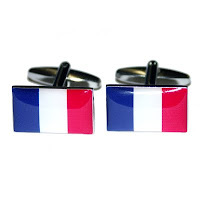 These France Flag Novelty Cufflinks are ideal to help you celebrate. At £4.97 per pair if you buy them today, it is almost impossible to say "non"!